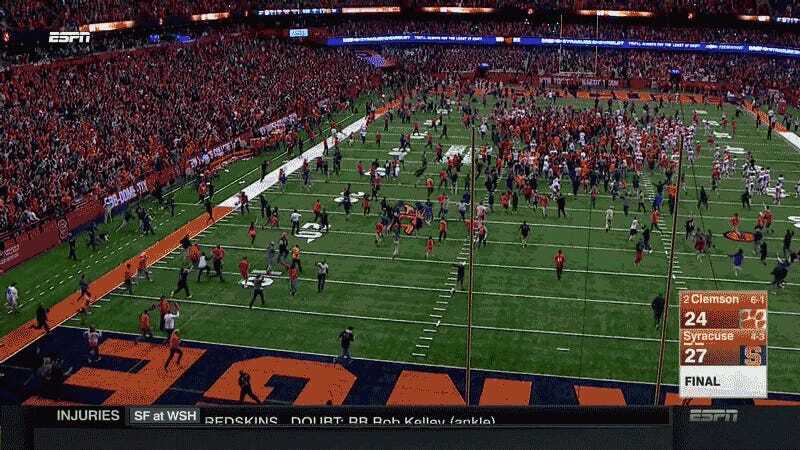 The reigning college football national champions fell tonight in Syracuse to a 3-3 Orange team that handed Clemson its first regular season road loss since 2014. Clemson trailed nearly the entire game, and did nothing for their case with a late, failed fake punt. 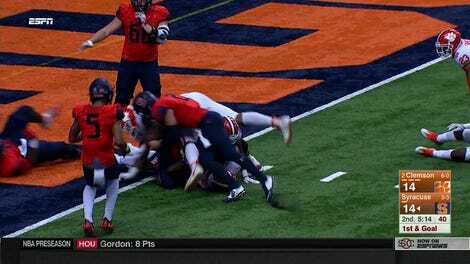 The Tigers’ offense managed only 317 total yards, while Syracuse QB Eric Dungey went for 278 through the air and three touchdowns. Prepare yourself for a weekend of insufferable media members gloating. We’re not here to make excuses for Clemson, but why is the reigning national champion playing on the road on a Friday night, anyway? Bah Gawd King, What A Takedown!